As a football league we take great pride in seeing our young men continue onto High School, College and in some cases the NFL. More importantly though is our heightened sense of responsibility in teaching children the values of hard work, dedication and the importance of education. The youth of today will soon https://chiefessays.net/ be the leaders of tomorrow and all of us in the NYCYFL are proud to be a part of that mentoring process. Thank you again for visiting the New York City Youth Football League Website. We hope that you will take the time to click on the above links to learn more about the NYCYFL, New York’s premier youth football league. The season begins in September with all of our divisions playing a 9 to 10 game schedule. Our regular season is followed by playoff games and culminates with Championship Games in December played at one of New York City’s beautiful football locations such as Hofstra University and Wagner College. 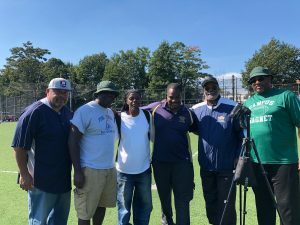 When you scroll down a High School Football Roster in the CHSAA (Catholic High School League) or PSAL (Public High School League) in New York City, chances are that roster will contain many former players from the NYCYFL. 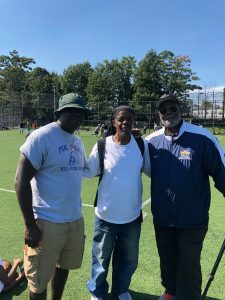 When you scroll down a High School Football Roster in the CHSAA (Catholic High School League) or PSAL (Public High School League) in New York City, chances are that roster will contain many former players from the NYCYFL. In addition, players https://find-bride-scam.com/ from the NYCYFL have gone on to play at some of the country’s most prestigious Boarding Schools such as Choate, Salisbury, New Hampton, Lawrence Academy, Phillips Exeter Academy, Poly Prep and Blue Ridge. Please be sure to view our Alumni Page for the NYCYFL. As a football league we take great pride in seeing our young men continue onto High School, College and in some cases the NFL. More importantly though is our heightened sense of responsibility in teaching children the values of hard work, dedication and the importance of education. The youth of today will soon be the leaders of tomorrow and all of us in the NYCYFL are proud to be a part of that mentoring process. Thank you again for visiting the New York City Youth Football League Website. We hope that you will take the time to click on the above links to learn more about the NYCYFL, New York’s premier youth football league. Coaches, kindly remember to report your scores after each game.